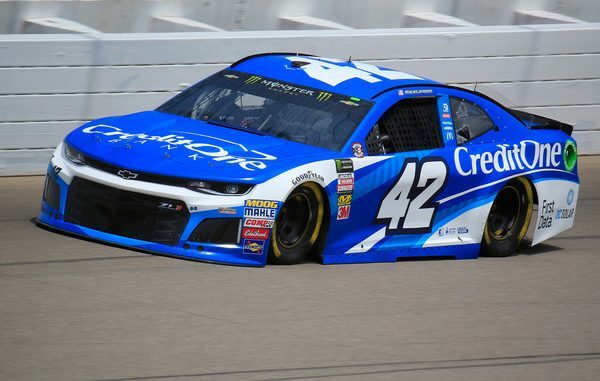 Despite a 26th-place qualifying effort, Kyle Larson appeared poised to make a run at the FireKeepers Casino 400 trophy in the early stages of Sunday’s race, but his bid for a fourth straight victory at Michigan International Speedway took an unexpected, adverse turn. Larson was 13th in the running order when the field restarted after a planned competition caution at the end of Lap 25. 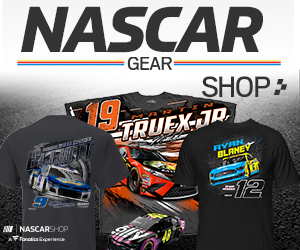 By Lap 41, he was eighth for a restart after a wreck involving Bubba Wallace and David Ragan brought out the second yellow. Larson finished second in Stage 1, which ended on Lap 60, and he ran consistently in the top 10 thereafter, until his race unraveled on Lap 85. Running fourth at the time, Larson spun off Turn 4, and his No. 42 Chevrolet tore through the infield grass, damaging the right front of the car. After multiple pit stops and a liberal application of tape to the injured vehicle, Larson was two laps down. Under the eighth and final caution on Lap 129, Larson returned to the lead lap as the highest scored lapped car, but he never had a chance to improve his position because rain ended the race under yellow four laps later. Larson finished 28th and will have to wait until August to try to start a new streak.